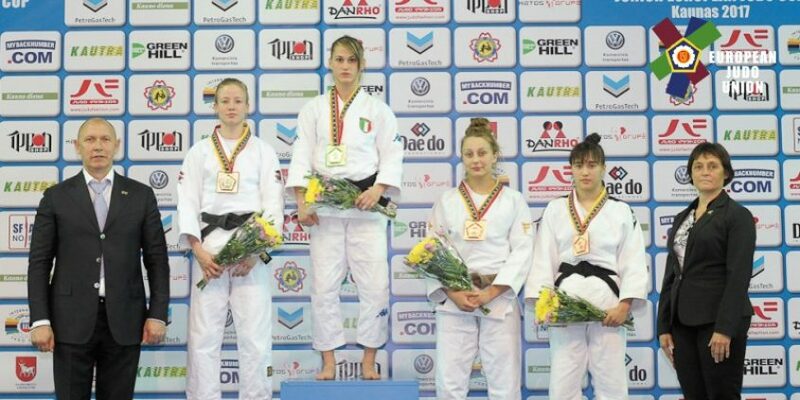 Olivia Piechota claimed an impressive bronze medal in the Junior European Judo Cup hosted in Kaunas, Lithuania this weekend. 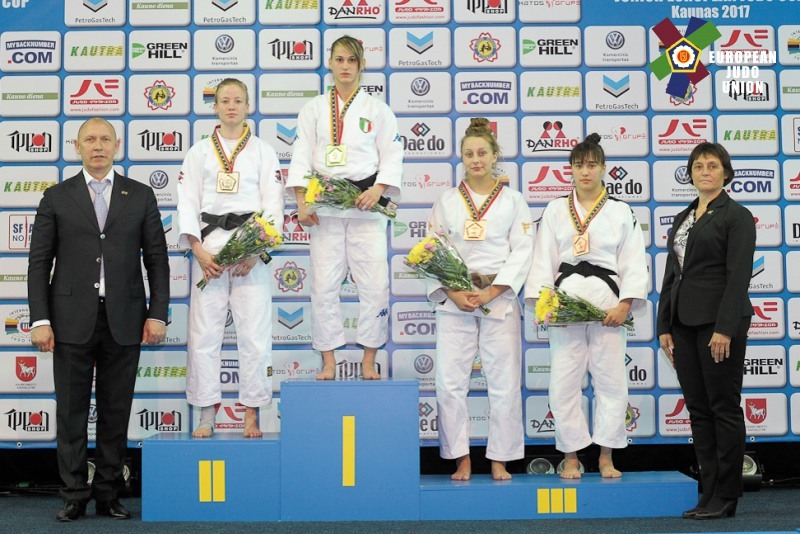 It marks Piechota’s first medal of the season after several near misses in recent Junior European Cup events in Russia, Italy and Portugal in which she has fallen in the Repechage stage of the tournament. She was to go one better this weekend however to finally claim the elusive first medal on the board. Piechota started the tournament in fine fashion with an ippon victory in her opening contest after just 23 seconds against Viktorija Murasko (LTU). She came up against former European Champion Amber Gersjes from the Netherlands in the semi final but Gersjes possessed a prowess to see off Piechota via a waza-ari followed up by an ippon. This dropped Piechota down into what was turning into be the unlucky repechage. She managed to banish the demons from the last three competitions to bring home the bronze medal defeating Kateryna Sablieva (UKR) with a single waza-ari settling the contest after the four minutes. Cailin Calder (-100kg) registered the highest placing for the male contingent with a 7th-placed finish in his respective weight category. An impressive first round victory against Njous Kuzavas (LTU) within the first two minutes of the contest saw Calder move into the second round. Daniel Zorn (GER) stood in his way though and he fell to an ippon finish by Zorn in the first minute. This dropped Calder into the repechage where he came up against Hungarian Peter Arvai. Arvai is an experienced judoka on the junior circuit with gold medals to his name. A single waza-ari in favour of Arvai was enough to eliminate Calder and drop him into seventh place. Joshua Awiti-Alcaraz (-73kg) fell in the first round along with Del Imrie (-90kg) . Alexander Short (-66kg) progressed into the second round but came up against home favourite Edgaras Lizunas (LTU) who proved too strong for short registering two waza-ari followed up with an ippon. Henry Wakes (-60kg) was able to register a 9th place finish. He was eliminated in the first round but dropped down in a congested repechage stage where he defeated Belarussian Illya Zaitsau but Hungarian Bence Pongracz proved too much.